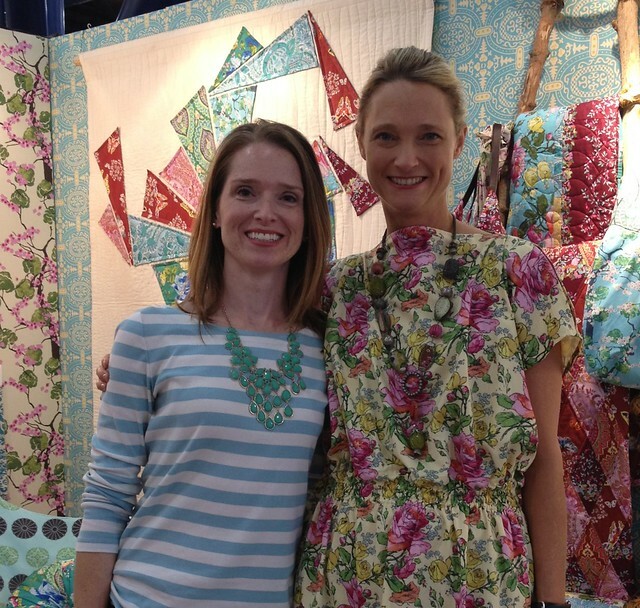 Texas Freckles: Inspiration from Quilt Market! 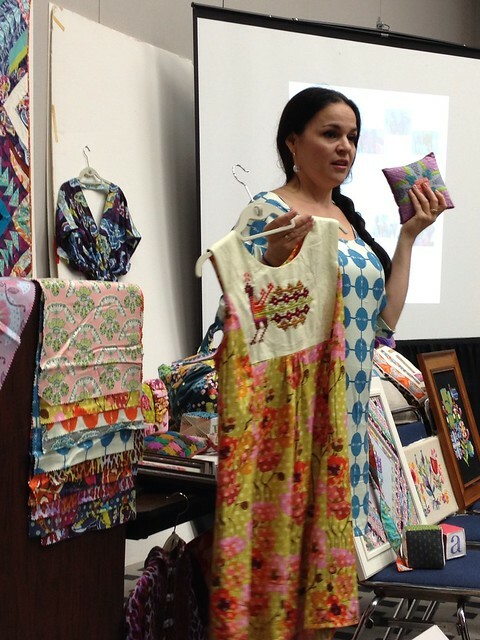 For the second year in a row, I had the pleasure of making the short trip down to Houston to attend International Quilt Market. 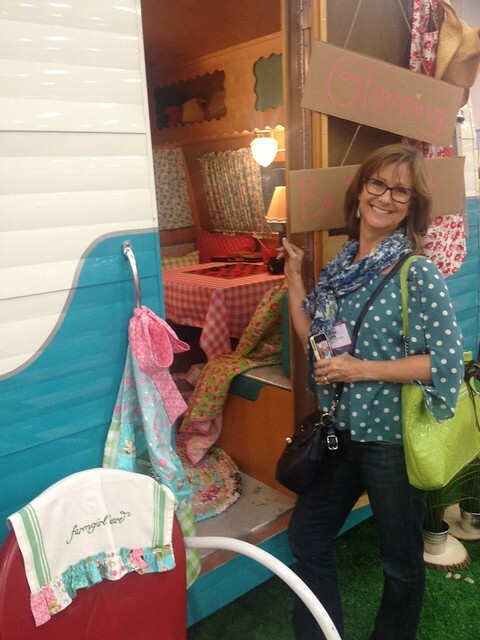 I rode with my friend, Michelle, who owns and operates a fabulous sewing lounge in Dallas called Urban Spools. This trip to market was focused on finding inspiration for new classes to teach at our studios. I got some great ideas, met a number of lovely people, brought home a large stack of new reading material and some lovely fabrics, and had a great time hanging out with Michelle. 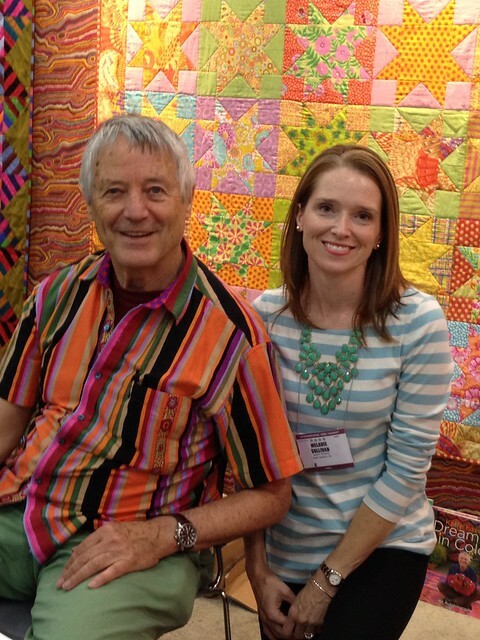 One of the highlights of the weekend was meeting the king of color himself, Kaffe Fassett! Long before I started quilting, I was an avid knitter. Back in the 90's, I drooled over (and knitted) some of his gorgeous knitting patterns. If you aren't familiar with Kaffe's knitting patterns for Rowan, they are as fun and colorful as his quilts. He was actually knitting in his booth at market that day and showed me the scarf he was working on with some new ombre wool. I hadn't splurged on a copy of his new autobiography yet, and I'm glad I waited because now I have my very own autographed copy! 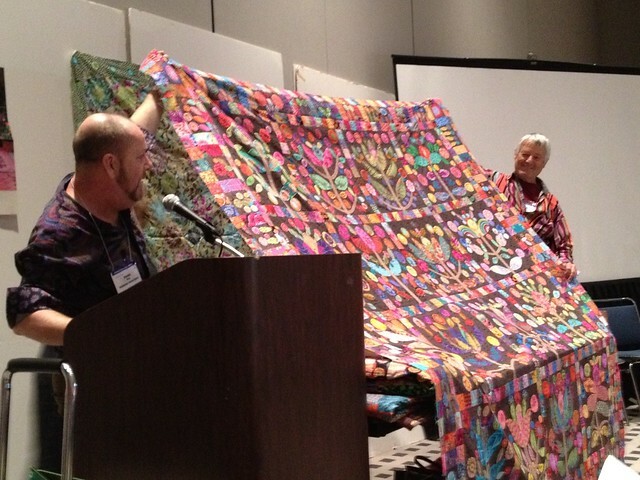 His other new book, Kaffe Quilts Again, is a feast for the eyes. In it, he revisits his favorite patterns from the past and updates them with new fabrics giving them a completely new twist. Both of this new books are must-haves for the Kaffe fan. Book images will take you to Amazon.com. If meeting Kaffe wasn't enough, I was also thrilled to talk with Amy Butler herself. She's so sweet! And so tall. Very tall. At her schoolhouse lecture, she presented the new free online magazine she and her husband are launching this fall/winter called Blossom. The preview we saw was just beautiful and I can't wait for it to launch. 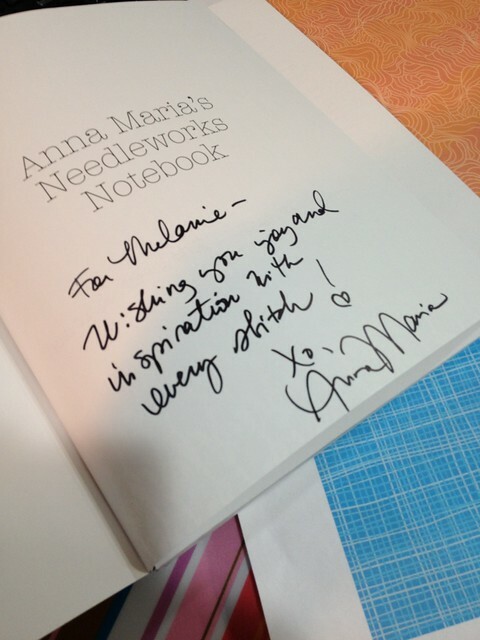 Have you seen Anna Maria Horner's new book, Anna Maria's Needleworks Notebook? 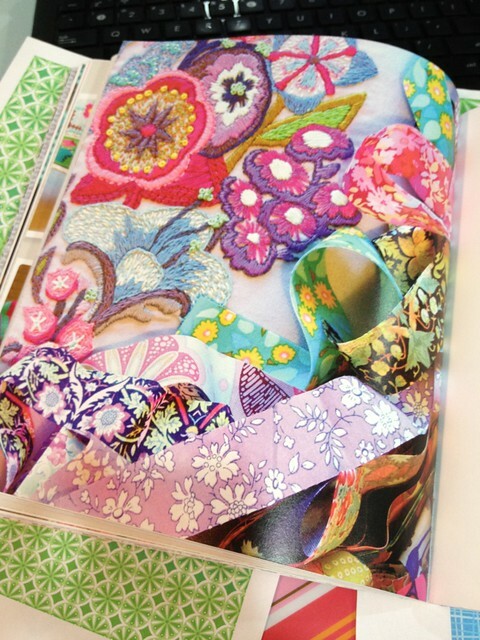 This book makes me wish there were 36 hours in the day so I could find the time to make every project in it! The photographs and illustrations are lovely and it covers the basics for the four most common types of needlework: cross stitch, needlepoint, embroidery, and my favorite, crewel. I don't know how she does it all. Busy mother, beautiful wife, talented and successful business woman who still finds the time to pose with dorky fans! 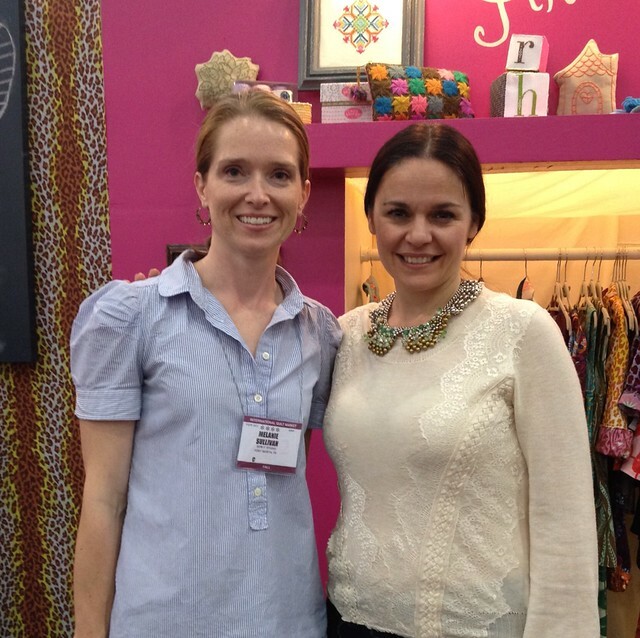 Anna Maria was as kind and gracious in person as she is on her blog. She's the real thing! 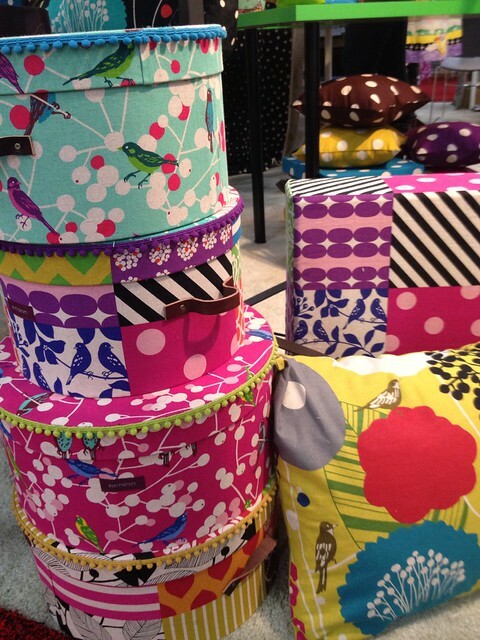 One of my favorite booths at market is Seven Islands, who distributes Echino and Kokka in the U.S. in addition to many other amazing fabric lines. Their booth is so colorful and fun. That stack on the right above, that's the delicious stack of the new Echino that I brought home from Sample Spree! I think I want to use it to make a quilt. 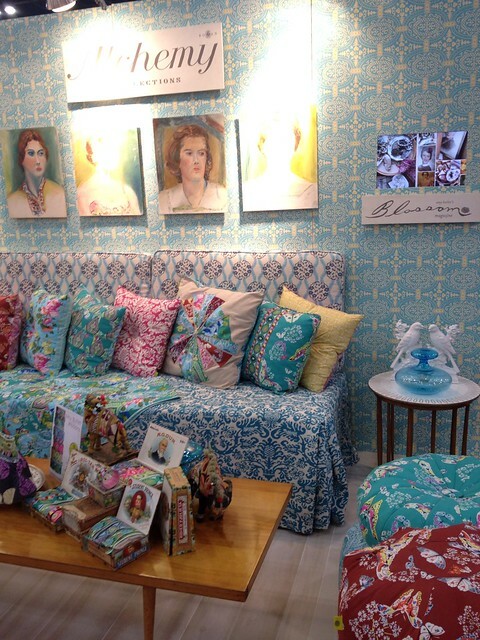 I'll have to think of a pattern that really focuses on the fabric and works well with the large scale prints. 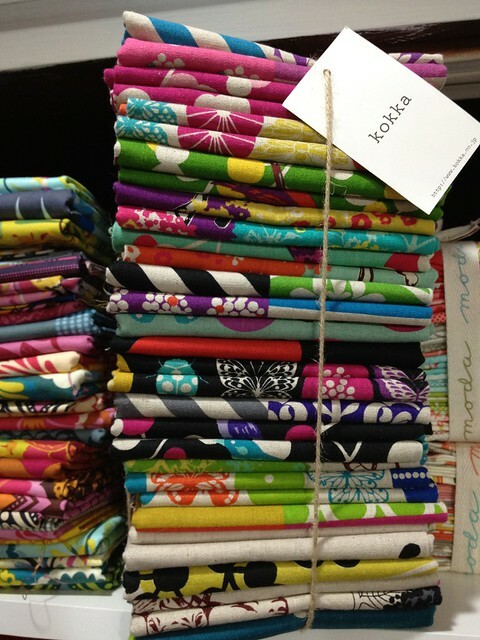 I've got half yards of 20 patterns, so I may have enough to make a quilt and some other fun stuff. So how to you top off a weekend as exciting as this one? 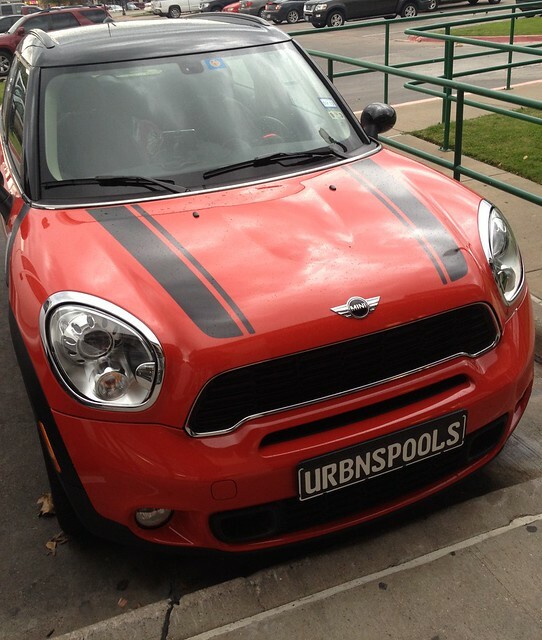 You ride to and from Houston in Michelle's new Mini! Wow sounds like you had an amazing time. I have signed copies of Kaffe's 2 new books, the autobiography is a great read - he is an amazing man!